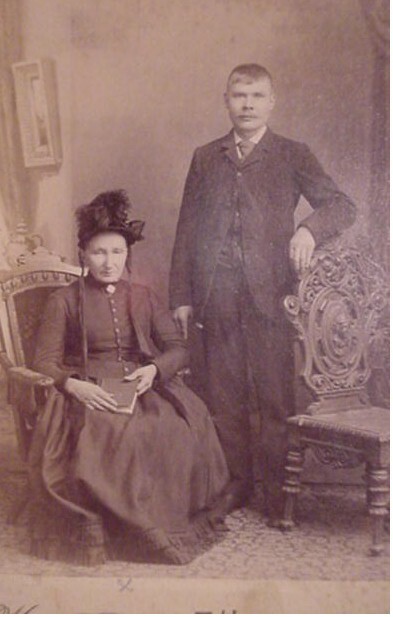 They were from the village of Hirschbergen in Bohemia. The village is now called Jeleni in the Czech Republic. 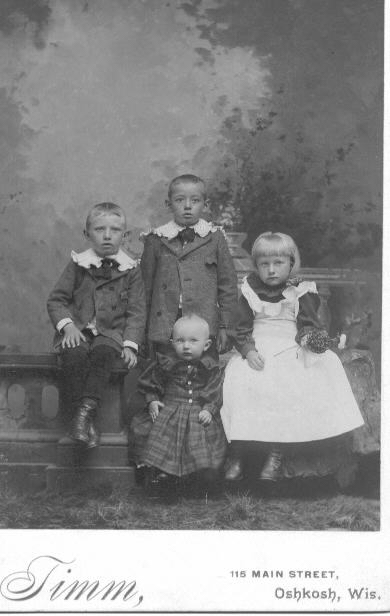 It is not known if the father, Raymond, emigrated to America. Theresia, his wife, and the 4 children did. 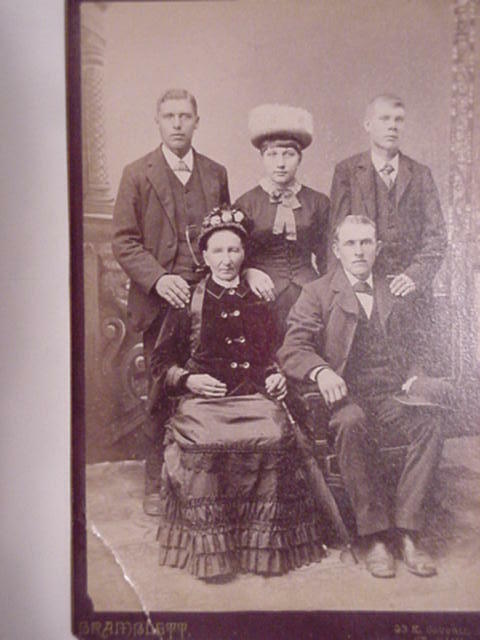 The Winkelbauer family first settled in St. Paul, MN. 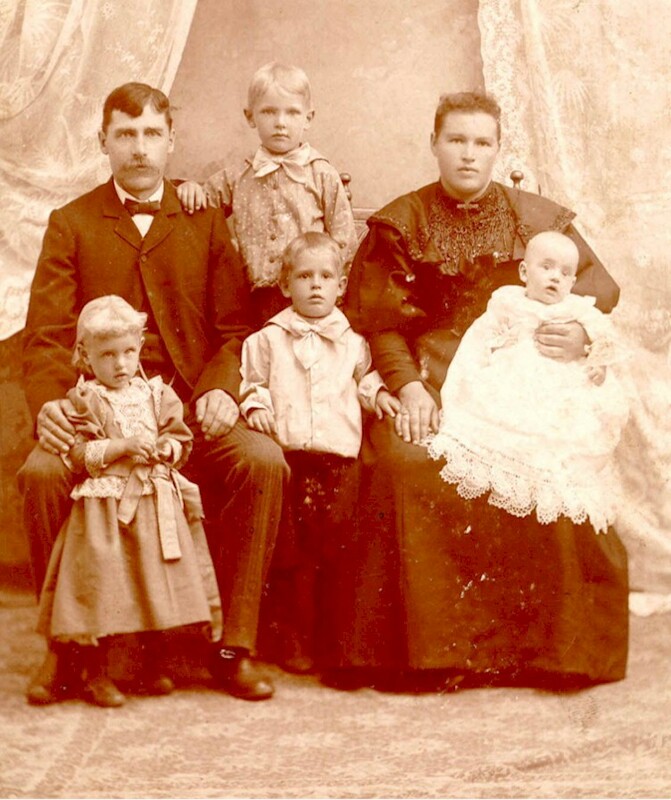 After one year the mother and 3 children moved to Oshkosh. Johann stayed in St. Paul. For more information on the family and to see pictures of Hirschbergen see my website. 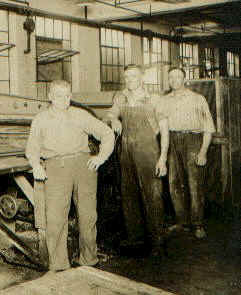 Joseph (in front) at Stockwethers factory. The other two men are unknown. This house was in our family over 110 years. We sold it in 2001. The center section was the original house. It was turned 90° and the front room and back kitchen were added. The lot extended thru to 8th street. A garden filled the whole back lot.